Epicurus has always been one of my favorite philosophers. Back when I was 12 years old, approaching Confirmation, and struggling with the mounting absurdity of Anglican doctrine, I encountered this quote of his, from about 275 BCE: “Is God willing to prevent evil, but not able? Then he is not omnipotent. Is he able, but not willing? Then he is malevolent. Is he both able and willing? Then whence cometh evil? Is he neither able nor willing? Then why call him God?” The questions parted the clouds of confusion. As the years passed, I came to admire his dicta to strive for the simple life, one lived in serenity. Easier said than done, of course, and the minute you start worrying about how to go about it, you defeat your own purpose. But, by its nature, it is not a competitive goal. It is something you arrive at. 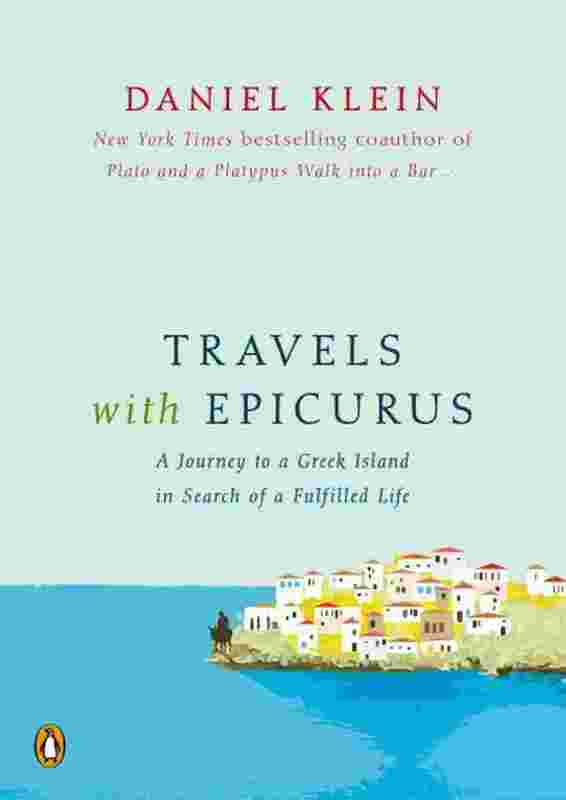 Daniel Klein’s Travels With Epicurus is a slim volume, about the size of a Reader’s Digest magazine, a mere 162 pages of simple and enjoyable writing. If one reads it like a Doberman eating bacon bits, it could probably be devoured in about an hour. But this is not that sort of book. Instead, Klein’s personal journey is told in a more-or-less sequential manner, but that doesn’t mean that the book needs to be read sequentially. Rather, you read it for the ideas and observations, the lessons learned from Epicurus: Take your time. Don’t study the text. Don’t concentrate. Just take dips in it, absorb it. Klein’s journey begins when he first asks himself if, at his eighth decade, he really needs to go through the pain and trouble of dental implants when false teeth will take care of his needs. Does vanity justify the trouble? Epicurus might smile and shake his head slowly. If, like me, you are approaching what is jokingly referred to as ‘retirement age’, then Travels with Epicurus is an extraordinarily valuable book to have at hand. Epicurus advocated the good life, one of serenity and stillness. In turn, Daniel Klein shows us how to move in that direction. This entry was posted on May 24, 2013 by Jacob Aiello in 2013, In the Spotlight, May 2013, Rat On Fiction & Nonfiction and tagged Book Review, Books, Guest Review.